The National Black Theatre at 2031 Fifth Avenue is the home of the distinguished non-profit theatre company of that name. Founded in 1968 by the playwright and activist Barbara Ann Teer, the organization’s mission is to “produce transformational theatrical experiences that enhance African American cultural identity by telling authentic stories of the Black experience”. Nina Simone and Maya Angelou are among the many luminaries that have appeared onstage. 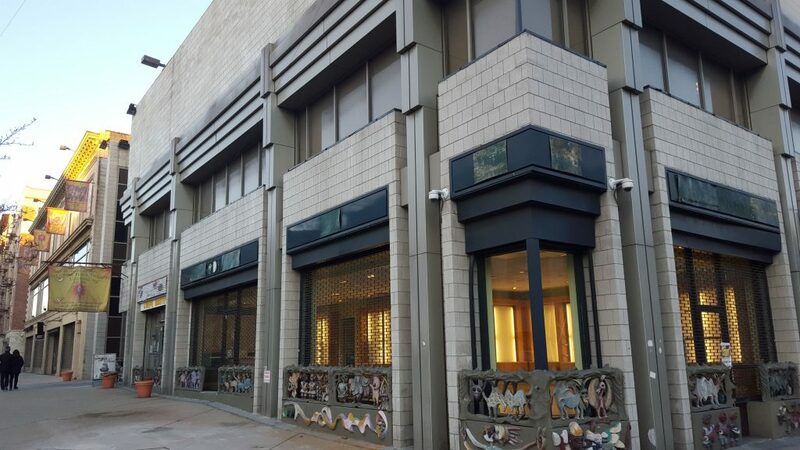 The building itself is the work of Haitian-American architect Gerard Paul; the eye-catching relief sculptures that dominate the street level were created by traditional artists from Oshogbo, Nigeria. Current plans indicate that the present building will be demolished and replaced with an expanded mixed-use project that will incorporate a new theater. It is to be hoped that the relief sculptures will be retained.